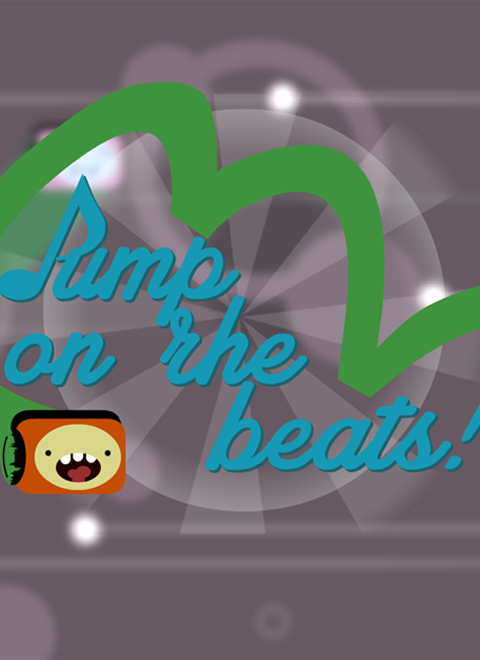 In Jump on the Beats, you will take control of a very nice creature. He have to jump on your favorite song's Beats! Feature of the game is that the behavior of the Beats depends on track that you upload to the game. Simply put, you can manage the difficulty, speed and mood of the game yourself, without resorting to complicated settings, and only uploading your tracks, the atmosphere of which you would like to pass the game. To promote Jump on the Beats and grow its popularity (top games), use the embed code provided on your homepage, blog, forums and elsewhere you desire. Or try our widget.